Need Cash for Your Startup? The Maverick Venture Fund invests seed capital into startups founded by UNO students and alumni. A student venture board researches, recommends and monitors investments of $1,000 to $5,000 under the supervision of local venture capitalists who train the students in the art of startup investing. Students gain insights into the world of Venture Capital and Angel investing. They learn the key principles and concepts necessary to conduct due diligence, calculate investment returns, write term sheets, make investment recommendations and manage the investments made in student, alumni and community ventures. Open to students of any major. One credit hour per semester (3 semesters maximum) is available, but not required, for students who want to receive it. Credits can be for either entrepreneurship (ENTR) or finance (FNBK). Please speak with your degree advisor for more information. 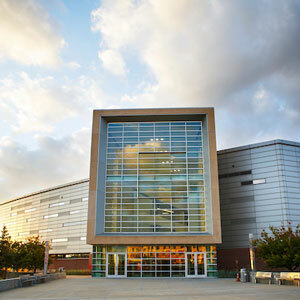 The Maverick Venture Fund is an early stage venture fund at the University of Nebraska at Omaha. The fund is managed by UNO students under the supervision of the Center for Innovation, Entrepreneurship & Franchising. Any questions or concerns can be directed to Levi Cermak at lcermak7@unomaha.edu or 402.554.3605.